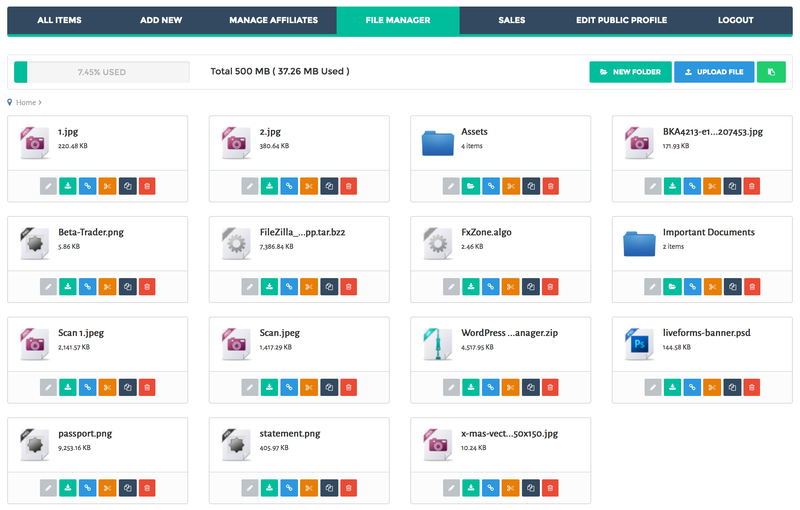 File Manager Ad-on for WordPress Download Manager Pro will give you an easy ui for manage server files like your pc's file explorer, you can edit files, copy, more or delete files and dirs easily. Can I upload files with this plugin? Can I use this in front-end? 1. Can you set permissions on certain folders? 2. Can you share one folder so the user doesn’t have access to all folders, just one? 3. Can you upload AND download through the file manager? 4. Can you disable the delete/edit button on files? is this Lazy download , working with old 2000 file uploading before lazy download ? can this add-on control old attachment ? I know there is no answer !!!!! No, you have to activate separately for now, but we are adding new option in next update to activate lazy download globally. did you mean , Lazy download , working with old 2000 file uploading before lazy download ? can this add-on control old attachment ? in my site here and sending who ask to download attahed file to waiting page with countdown ? I already bought WPDM pro, but I think my project need File manager. – Is it possible to use several File managers, one in each page, only showing files of the page ? – Is it possible to show uploader name ? File Manager is for the file uploaded to manage their uploaded files, so you will not need several file manager there. But please create a post in forum https://www.wpdownloadmanager.com/support/forum/download-manager-pro/ with little more details on what you are trying to do there, so that I can explain it to you better. It is just plug-n-play, no extra setup required. is it possible to copy/paste folders with multiple subfolders and files? You can’t copy/paste folders with multiple subfolders and files, but we have noted it for the next update. However, you still can do that using FTP. There is no folder structure (categories) – they are all in one place. Will the File Manager addon change this? The file manager will not interfere there. 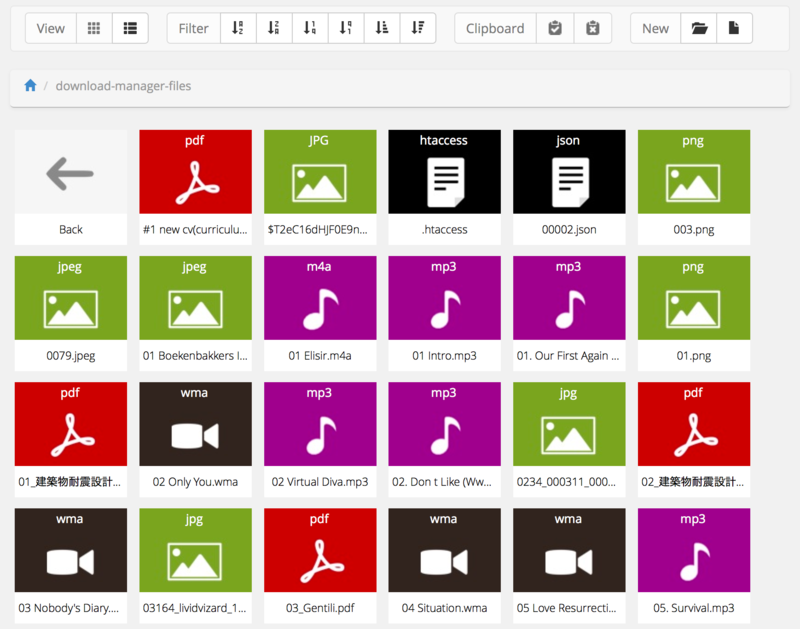 But, you can manually rearrange files and folders using the file manager. I really need to know how exactly this would work. If I can arange the files in subfolders via FTP why would I need the addon then? I really need more details on how to manage hundreds of files – Is there a demo? On the product page screenshot there is an icon, that looks like “DUPLICATE”. Can I duplicate entire folders with all the containing files? Is there a Frontend list view?